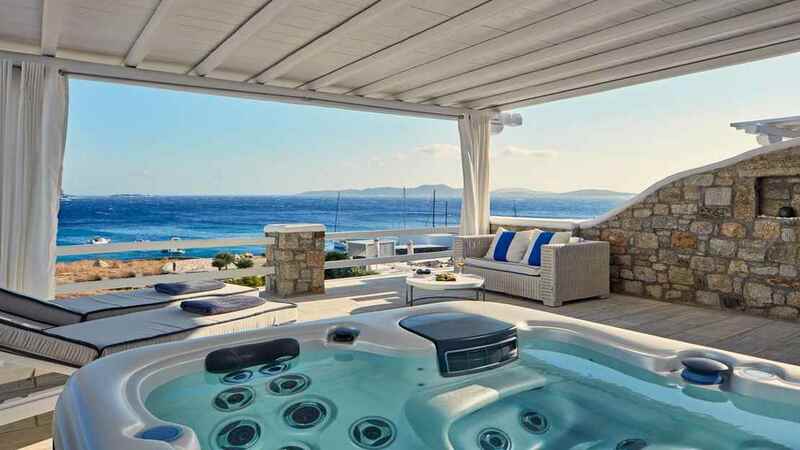 Drink in panoramic views of sapphire seas and cloudless skies at the De.light Boutique Hotel, a Grecian paradise on the holidaymaker’s favourite island of Mykonos. Stroll beneath a glorious sun among the white-washed walls and wispy pines, making your way down to the golden sand beach of Agios Ioannis, before sitting down beneath the stars to sample sumptuous cuisine beside the glimmering infinity pool. 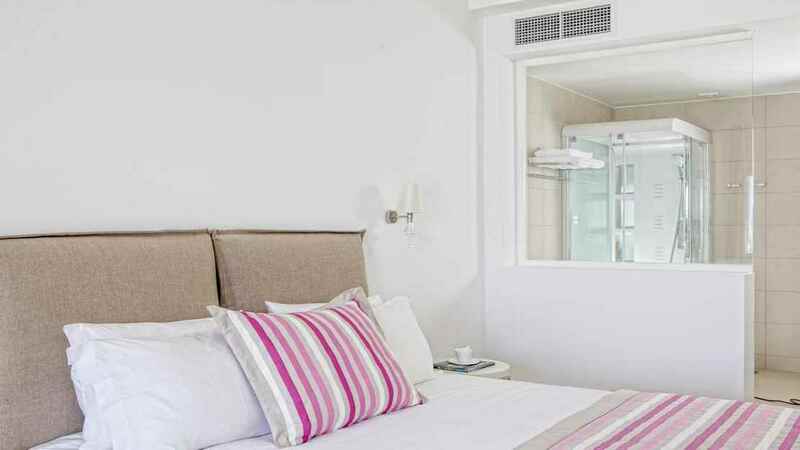 The De.light boutique hotel is only a short stroll from the sandy beach of Agios Ioannis. 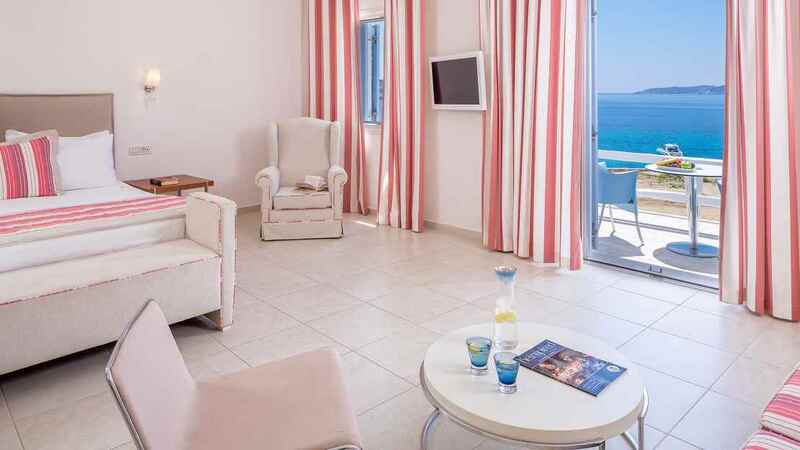 The hotel sits in a small, charming bay on the south west of the island, where there is a small number of local restaurants and bars. 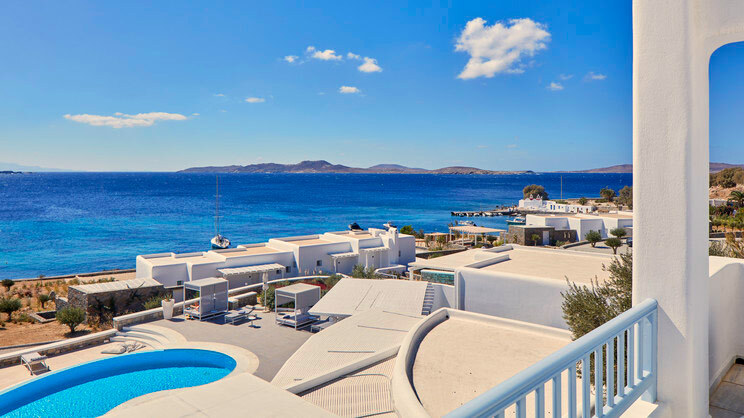 Mykonos International Airport is approximately 5km away from the De.light Boutique Hotel.